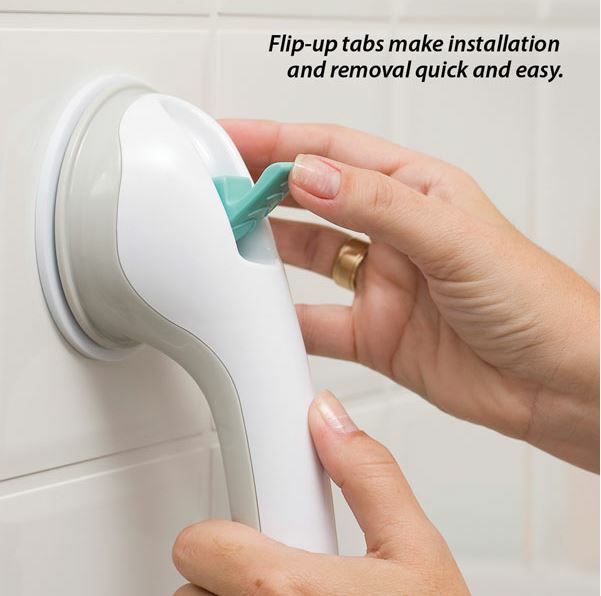 Powerful dual suction cups adhere grab bars for added assistance in the tub or shower. 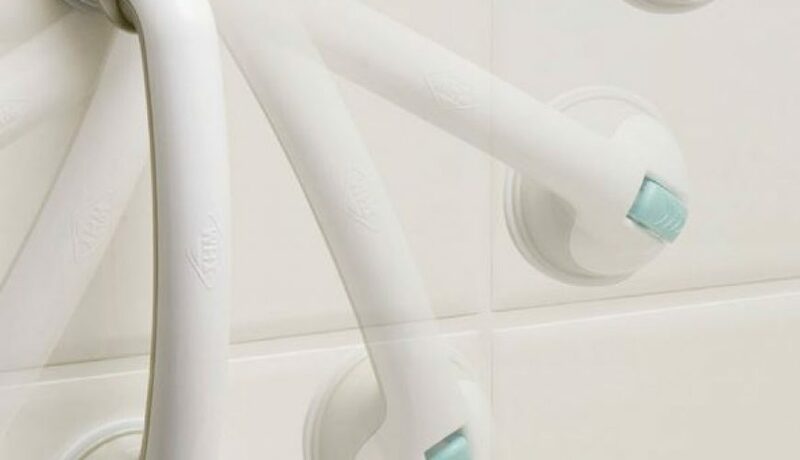 Suction Tub & Shower Bars easily attach these unique grab bars without having to hire a contractor for installation. Position on a smooth, clean, dry surface. To secure, hold in place and apply pressure while pushing down the tabs located at both ends. 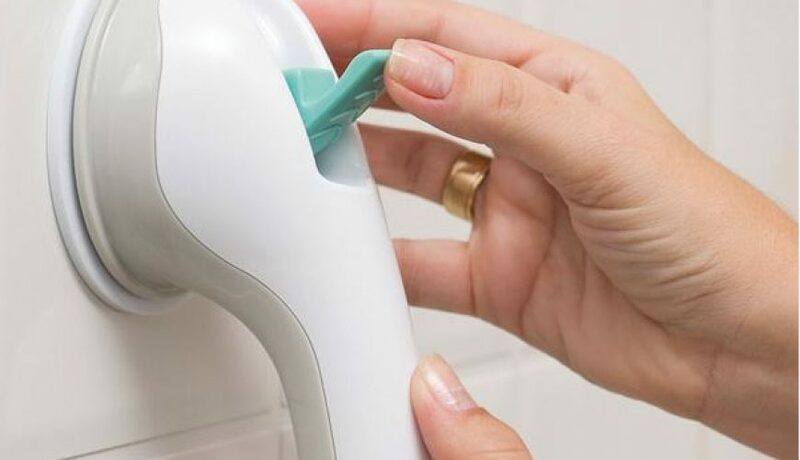 Release suction by flipping the tabs upwards for easy removal. 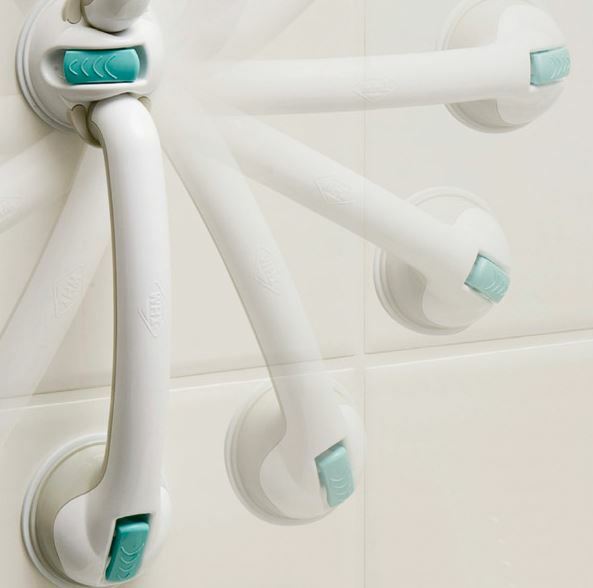 The Suction Tub and Shower Bars do not screw permanently into a wall, making them a perfect solution for renters or for use when traveling. Attach in the bath for better balance when exiting the tub. Can be used horizontally or vertically. Important: Suction Tub and Shower Bars provide balance and support, but are not intended for full-body weight bearing.